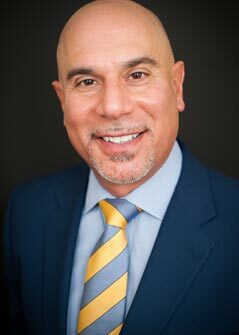 Michael Furman, born in Brooklyn, NY, is a partner focusing on the defense of lawyers and other professionals in complex professional liability litigation in Federal and State courts. Mr. Furman has extensive trial and appellate experience, having tried numerous jury trials in both Federal and State Courts throughout his career, and argued numerous appeals involving professional liability and insurance coverage matters. Prior to entering private practice, Mr. Furman served as an assistant district attorney in the Trial Division of the New York County District Attorney’s Office under Hon. Robert M. Morgenthau from 1989 to 1994. Mr. Furman has been appointed to the American Bar Association’s Standing Committee on Lawyer’s Professional Liability, and is a member of the Executive Committee and is the current Chair of the Trial Lawyers Section of the New York State Bar Association, and has previously served as Secretary (2012-13) and Treasurer (2011-12). Mr. Furman is also a member of the Professional Liability Committee of the Torts, Insurance & Compensation Law Section of the New York State Bar Association, and the author of “Professional Liability Insurance,” Insurance Law Practice, §37 (2d Ed 2006, NYSBA). Mr. Furman previously served as Chair of the Lawyers Professional Liability and Ethics Committee (Trial Lawyers Section) of the New York State Bar Association from 2009 to 2013, and is a member of the Association of Professional Responsibility Lawyers (APRL). Mr. Furman is the Overall Planning Chairman of the Bi-Annual New York State Bar Association-sponsored bi-annual CLE statewide Legal Malpractice Seminar (2003, 2005, 2007, 2009, 2011 and 2013) and editor-in-chief of the NYSBA CLE Legal Malpractice course-book. Mr. Furman also drafts insurance policies and represents insurers in coverage disputes involving financial institutions, professional liability, marine and non-marine risks. From 1997 to 1999, he worked in London for a major Lloyd’s syndicate, served on various London market committees, and was co-chair of the Int’l/London Sub-committee of the Insurance Coverage Committee of the ABA Section of Litigation. Mr. Furman has been involved in high exposure matters throughout his career, and represents the Lloyd’s insurance market in the World Trade Center/September 11, 2001 liability insurance coverage litigation in the Southern District of New York. Mr. Furman has lectured extensively in the United States and Europe on various insurance-related topics, including professional liability issues and insurance coverage, and has written several insurance-related articles. Pu v. Mitsopoulos, 67 A.D.3d 561, 888 N.Y.S.2d 401 (1st Dept. 2009).